Aside from mail forwarding, there are instances where you would like to only shop from the U.S, but due to some retail stores not being able to ship internationally, it then becomes a hassle. Not only is the shipping a problem, but then you have some sites not being able to accept your international credit card or address for billing. Or even worse, the international shipping itself costs more than what you are buying! 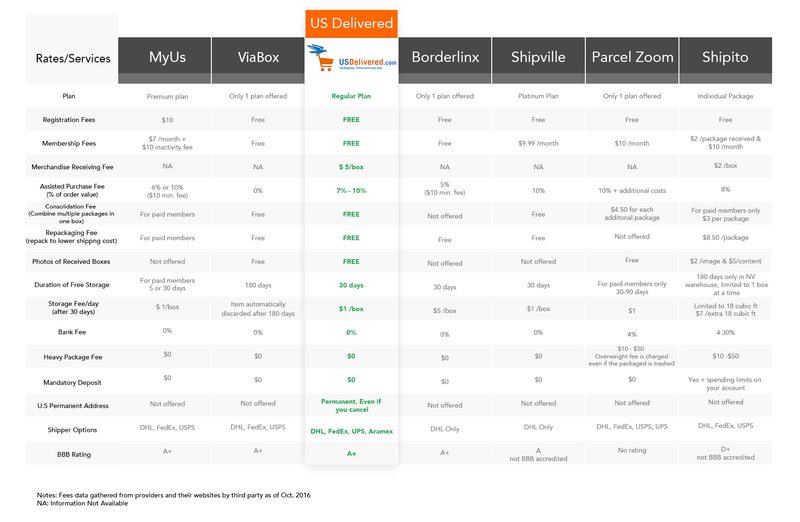 Luckily, there are several services that make it easy for you to purchase in the U.S from the comfort of your home! Based on our research, there is a clear winner with hands down the best rates all around.